WASHINGTON DC — Late yesterday, a coalition of environmental groups took legal action in the U.S. Court of Appeals for the D.C. 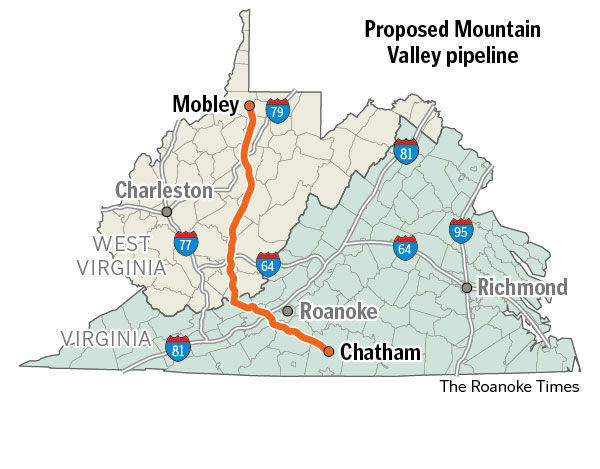 Circuit to halt start of construction of the fracked-gas Mountain Valley Pipeline, challenging the “certificate of public convenience and necessity” issued by the Federal Energy Regulatory Commission. 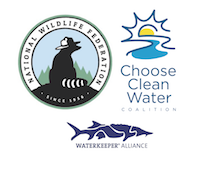 Attorneys for Appalachian Mountain Advocates filed the litigation on behalf of the Sierra Club, Appalachian Voices, the Chesapeake Climate Action Network, West Virginia Rivers Coalition, and Wild Virginia. The groups also filed a motion to stay the start of construction given the tremendous harmful impacts posed by the 300-mile, 42-inch diameter pipeline. FERC approved the pipeline in October in a 2-1 decision, despite the significant risks the Mountain Valley Pipeline poses to streams, rivers and drinking water sources and to treasured Appalachian landscapes, and despite evidence that existing pipeline capacity is sufficient. If built, the pipeline would cut through a 3.5-mile stretch of the Jefferson National Forest in Virginia and West Virginia, cross the Appalachian Trail at a previously undisturbed site, and cross waterways more than 1,000 times in the two states, posing a high risk of widespread water contamination. It would also significantly increase emissions that contribute to climate change, displacing public and private investments in energy efficiency, solar and other non-carbon based alternatives that cause far less environmental harm. “From coastal flooding to monster hurricanes to ravaging wildfires, climate change is impacting the critical systems that support life on our planet–right now. The Mountain Valley Pipeline for fracked gas would dramatically increase greenhouse gas emissions, while also trampling property rights, harming water quality, and permanently scarring pristine mountains. We are going to court to ask it to do what FERC failed to do — protect the public interest and halt construction of the Mountain Valley Pipeline. West Virginia Rivers Coalition is a statewide non-profit organization promoting the conservation and restoration of West Virginia’s exceptional rivers and streams. Since 1989, it has served as the statewide voice for clean, healthy waters for all to use and enjoy. For more information, visit wvrivers.org. The Sierra Club is America’s largest and most influential grassroots environmental organization, with more than 3 million members and supporters. In addition to helping people from all backgrounds explore nature and our outdoor heritage, the Sierra Club works to promote clean energy, safeguard the health of our communities, protect wildlife, and preserve our remaining wild places through grassroots activism, public education, lobbying, and legal action. For more information, visit sierraclub.org. Wild Virginia is a grassroots non-profit organization dedicated to preserving and supporting the complexity, diversity and stability of natural ecosystems by enhancing connectivity, water quality and climate in the forests, mountains, and waters of Virginia through education and advocacy. For more information, visit wildvirginia.org. Appalachian Voices is a leading nonprofit advocate for healthy communities and just economies in Appalachia in balance with the region’s incomparable natural heritage, and a driving force in America’s shift from fossil fuels to clean, renewable energy. For more information, visit appvoices.org. The missions of the Chesapeake Climate Action Network is to build a diverse movement powerful enough to put our region on the path to climate stability. We envision an equitable energy future where truly clean sources of power sustain every aspect of our lives, and dirty fossil fuels are phased out; where communities now sacrificed to the fossil fuel industry have won the freedom to decide where their energy comes from and how it’s used. For more information, visit chesapeakeclimate.org.